I’m not going to lie, I LOVED every minute of our time in different villas in Bali; the beautiful soaker pools, the impeccably manicured gardens, the breakfast delivered to our front porch, the turn down service that included bottled water and a lit mosquito coil in our bathroom, even the little effort I needed to make to try and communicate with the staff because their English was so good. However, my journey to Bali was not just to experience the cheap luxuries the island had to offer, but to experience and show my daughter the real Bali, the way people live in Indonesia- a developing country in South East Asia with a spiritual devotion unlike any other place. 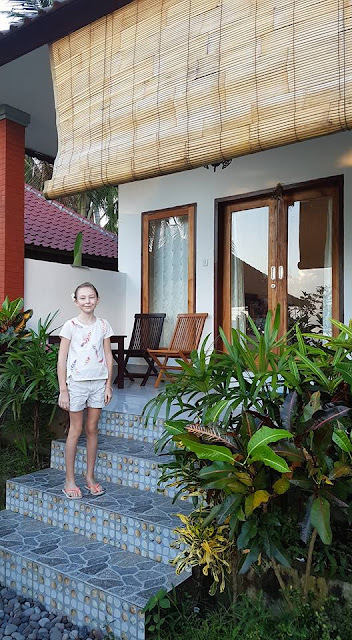 Living in our villas, we were trapped in a bubble, cut off from the real Bali that was just beyond the walls of the compound or beyond the frequently visited rice fields and mountains. So, we gave it up and travelled 2 hours outside of the cultural tourist hub of Bali, Ubud and stayed in a small fishing community known as Les Village in the northern part of Bali. 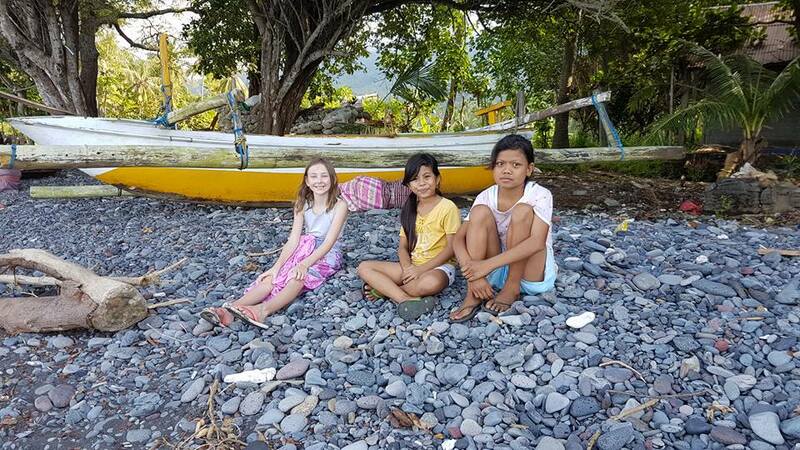 The village had been devastated by a volcanic eruption in 1963, and more recently their fishing population had dwindled, therefore the village has had it’s challenges to develop. My daughter and I packed up our bags and said farewell to our beautiful villa in Ubud and got into the car. The drive to the north side of the island was scary to say the least. A week prior a landslide had occurred, killing 12 and washing out several homes and flooding various areas along the river. The twists and turns of the drive and stomach-rolling ups and downs (the Gravol had to come out! ), you would see several signs along the way: HATI HATI meaning caution or attention. Sandbags lined the broken road from where the land was giving out. 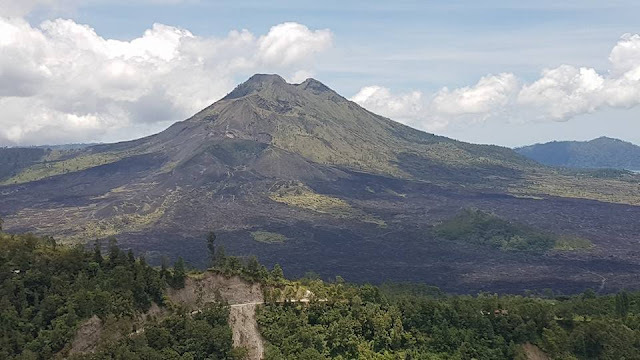 However, glancing out beyond the sides of the road stood Mount Batur and Mount Agung, breath taking beauty, with the evidence of the last eruption of Mount Batur blanketing over the land looking like a black velvet layer, or almost like a mink blanket draped over the base of the mountain. 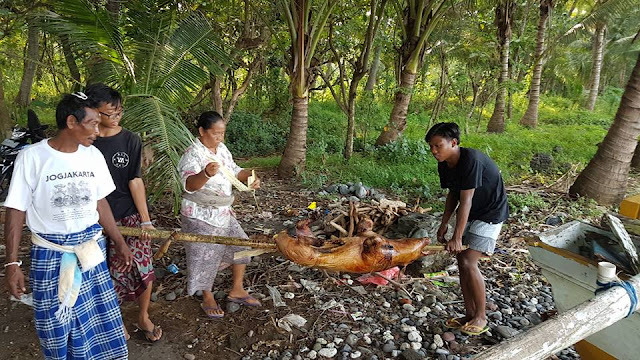 We pulled into the road that led us past what seemed like small wooden homes where glimpses showed children running around barefoot, chickens and dogs loose, a cow tied to a tree and just very basic living quarters. 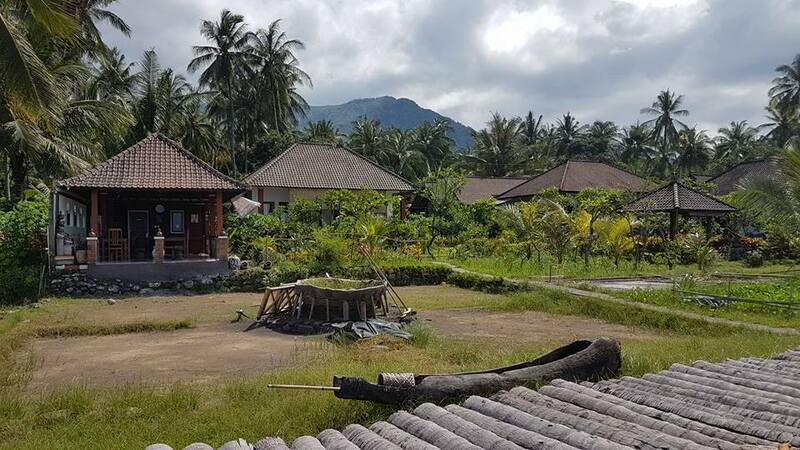 We pulled into Gede’s compound, he’s clearly better off then many people in the area and has a beautiful oceanfront property. Gede was our host and an elder of the community. He has a few “units” that are rented out and we are shown to ours next to the kitchen, facing the ocean. Our accommodations were very basic, especially compared to what we were use to, however all amenities we needed, a bed, air-conditioning (that didn’t work that well), a fan, a shower and a western toilet. My daughter plopped herself on the bed and stared at me with the “are you serious” look. I pulled the curtain to look our the window and a giant bug drops to the floor. So giant that I couldn’t even squish it with my shoe! I batted it outside and then plopped myself down on the bed and second guessed myself. At this point, there was a knock on the door, it was Gede’s wife, Made who offered me tea and cut us some fresh fruit. We sat on the porch and admired the view, enjoying the sweet juiciness of the local papaya, while also examining our surroundings of all of the bugs. After a much needed rest, we walked along the brick pathway at the shore, the heat was intense from the sun absorbing into the black soil and rocks that blanketed this region due to the volcanic rock. We saw the big woven containers that are used during the dry season to make harvest sea salt on the one side of the path, and on the water were the boats of the fishing village pulled up to shore. Some fishermen were getting their boats ready to head out for an early evening catch, while others were doing some maintenance on their boat. People we passed stared and smiled and we continued until the path ended and made our way back for dinner. 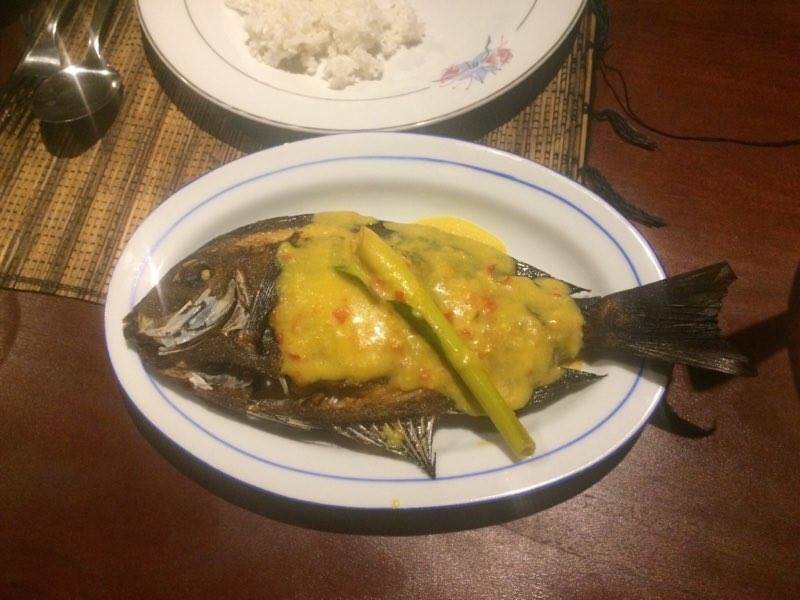 Gede’s wife, Made prepared a delicious fish dinner for us. We had fresh fish, seasoned veggies and rice, along with fruit for dessert. As we ate large bugs attracted to the lights above us clumsily flew into the light and would drop to the floor, I felt like we ate dinner facing upward most of the meal in fear of one of these bugs landing on us. They didn't seem to phase anyone else. Spiders crawled on the legs of the chairs, and what looked like a small mouse ran by while we ate. Our dinner servings were almost too big, and I felt horrible leaving left-overs after knowing how long Made was in the kitchen preparing our meals. However, the family dog, Sammy we learned, was well fed the next day! We made our way back to our room, quickly shutting the door behind us, to be sure to keep the bugs out, but turned to have a giant cockroach run across the floor in front of us. It was too quick (and big) for me to try and kill. After squishing several bugs around our bed before we reluctantly climbed into our sheets, we both laid there together wide-eye in the dark really questioning my decision to have stayed here. Jules saying “mommy, I don’t want to stay here!”. Me, feeling the same way at the time, speaks in encouraging terms and explains again my intentions of learning more of what it’s really like to live in Bali. Jules quickly fell asleep, and I lay there, wondering if a giant spider or some other giant poisonous creature will make its way into our bed all the while convincing myself why we’re here. Needless to say I didn’t seep much that night. Once we got up in the morning and realized we didn’t die from a snake or bug bite, and everything in the room seemed to look exactly how we left it before the lights went out, we both felt more at ease. We met with other guests staying in the compound for breakfast and discussed what we hoped to get out of our visit and what we wanted to do during our time here. Everyone greeted us with a smile. The people here are honestly the most friendly I’ve ever met. Even with the language barrier we felt so welcomed into their community and home. Many people in the community are trying to learn English, which has been difficult as the area does not see a huge amount of tourism, although they are working very hard at trying to build their language skills and be able to cater to future tourists. With this in mind, evening get-togethers are held at the same location where we were staying where community members would give up their evening hours with the hopes of meeting travellers who could assist with their English. We were able to sit with many from the community and help them practice while we learned some Balinese words. Not only was there the evening gatherings, children from the village would come after school on their own time and meet with a volunteer who would help teach them English. This would happen every single day after their school hours. Gede’s wife and sister-in-law were very welcoming and accommodating, offering us tea and fruit when we first arrived as I mentioned, but also cooked us any meal we requested. We were asked what type of protein we wanted with dinner and voila! Of course being right on the ocean in a fishing village we had to ask for fish! Made's curry sauce she would use on the fish was divine, always leaving you wanting more to smoother the rice in, but there was never enough. The fresh vegetables were seasoned perfectly and the fresh fruit capped off the delicious meal for dessert. If you were up to it, and could get up early enough you could join Made on a morning market tour as she would pick up the needed food for the day. Unfortunately we didn’t get a chance to go, as our one early morning was to go hike Mt. Batur! Gede and his family invited us to their family Hindu Ceremony that was to honour the land and nature. It was an honour to be included and for the family to share what seemed like such an intimate and important ceremony. Gede took us to another part of his property where the women were preparing the offerings which included various types of food, flowers and meats such as duck, eggs and a fully cooked pig. We watched as they participating in the rituals of the ceremony and prayed facing different directions. It was a long process and took place at different spots on the land. 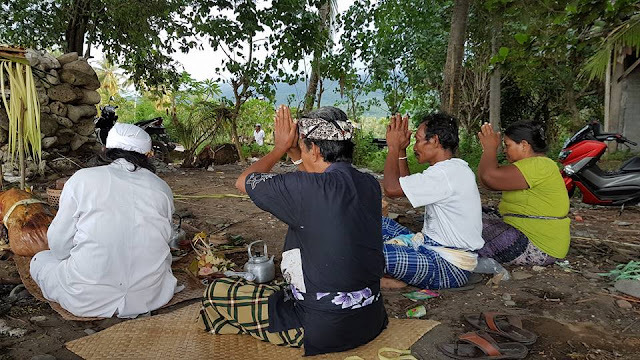 Because of the language barrier, we had a hard time understanding the meaning behind some of the rituals and the reasons for the different locations and directions. Gede told me the ceremony "is presented as gratitude to nature that has delivered results for our welfare, and we undertake this every year". 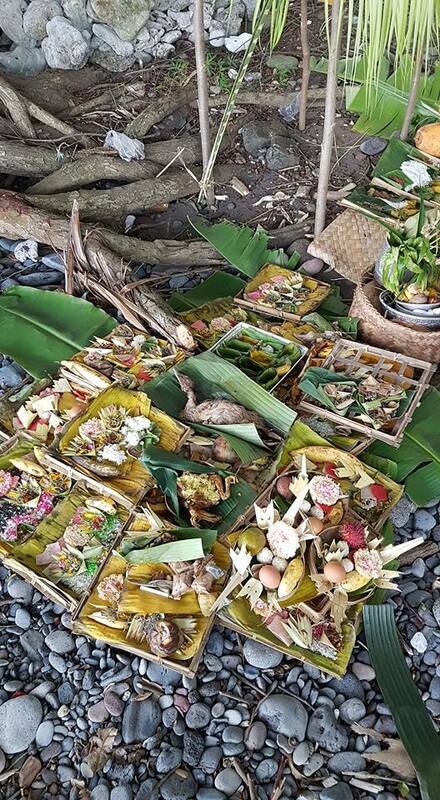 It was beautiful to watch a family participate in something that they are so dedicated too and to understand more of the spirituality of the Balinese Hindus which is so unique to this part of the world. One of the “must-do’s” of the region is to visit the Yeh Mempeh/Les Waterfall. Previous to our arrival, a landslide had occurred in the area and had damaged some of the walkway from the river overflowing, so the path in was going to be questionable. We were able to ask some of the gentlemen that we had met the evening prior at the English lessons if they would take us to the waterfall the next day. They graciously accepted, and unbeknownst me, included a ride on their motor bikes/scooters to the entrance to the hike in. I was terrified of my daughter riding the scooter with no helmet, and she was very apprehensive. 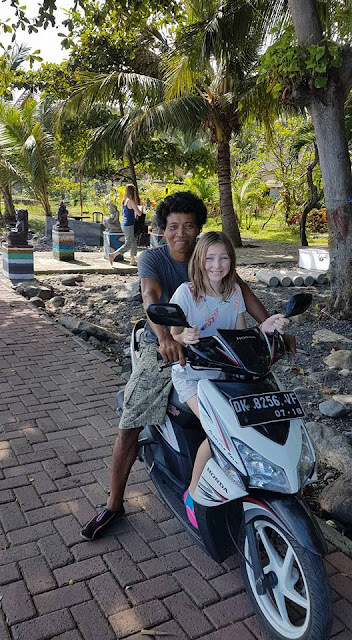 However we were promised it was a short ride, and of course “when in Bali!”, so we jumped on. Needless to say once Jules felt comfortable she LOVED the scooter ride and asked to go other places (we did not!). The ride kinda felt liberating. The wind blowing through my hair, driving through the small little village with hardly any traffic, and folks smiling and waving at us as we went by. We arrived at the entrance to the pathway to the falls and within less than 15 minutes we were there! It was a welcoming refreshing dense mist that covered us after a hot humid walk through the jungle. 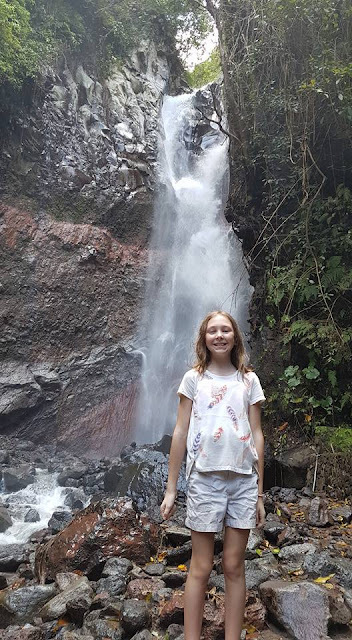 We walked as close to the falls as we could through the clear water feeling the pounding force of the water through our whole body as it cascaded over the rocks onto the ground in front of us. It felt so powerful, and looked so beautiful. Not long ago the coral reefs of the shore of Les Village were damaged and most of the coral had died from the cyanide fishing practices of the fisherfolk. Fish was scarce, which meant their livelihood was impacted. 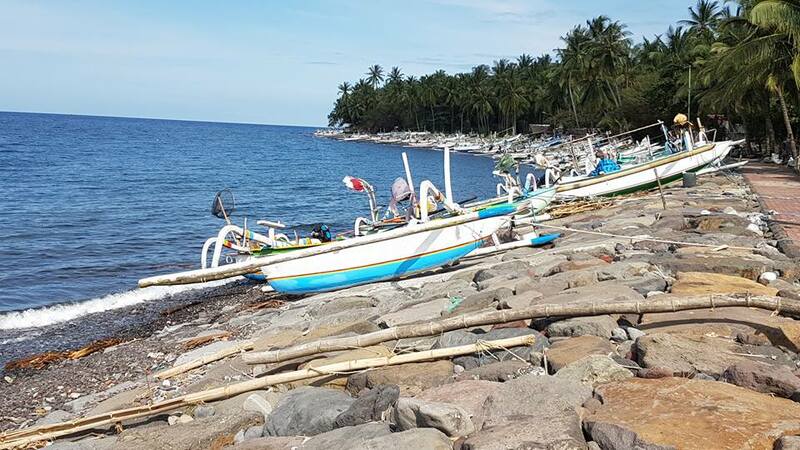 In 2012 a restoration project emerged as a social enterprise for the community members to rehabilitate the reefs of Les and in turn improve their livelihood. 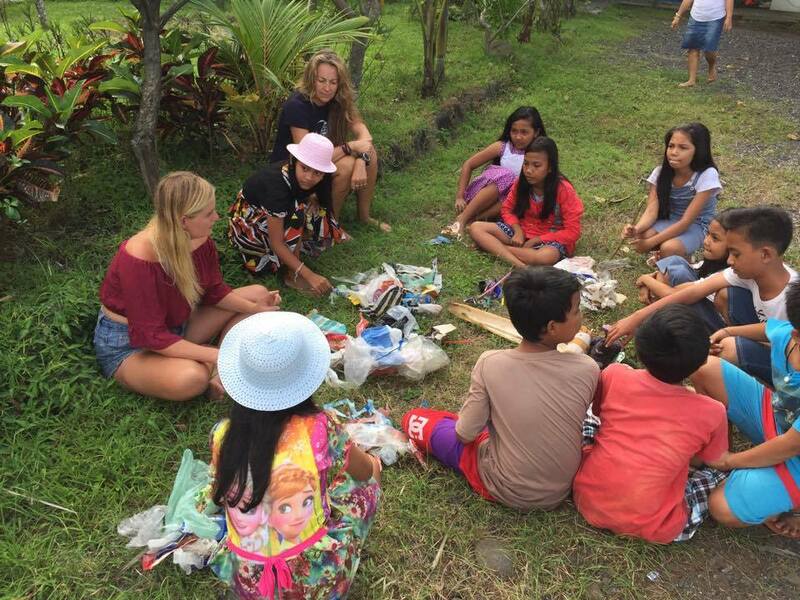 Various outreach programs now exist, one including the English lessons that we took part in. While we were here there were two women that we met from Australia that were working on the Sea Communities project, we’d see them diving every day and documenting their findings. There has been much improvement and coal and fish are returning. The women shared some of the photos of the fish they had seen on their dives, my daughter was thrilled by the clown fish, similar to Nemo! It was interesting to learn about the partnership of the community the the non-profit organizations that have been working together to try and rebuild and improve the sea life and livelihood. By the second night my daughter was finally feeling more comfortable (and so was I), and she started to relax and enjoy herself. She even met some of the village children and made some friends despite the language barrier. I think this was an experience that allowed both of us to understand the privileges that we have in our lives and to appreciate the beauty of the happiness people have in their lives regardless their lifestyle or living conditions. We came to see the dedication and determination for improved quality of life and livelihood, how people were acknowledging and understanding of the importance of sustainable fishing and coastal care. We got to experience a sacred family Hindu ceremony-- one that we did not pay money for to see as a traditional dance or ceremony, but this was the real deal, this was a family sharing their most intimate devotion to the spiritual world with us. These are all reason I suggest you forgo the Bali villa living (at least for a bit!) and get to know another side of Bali! To Follow me Live, check out my Social Media Accounts! 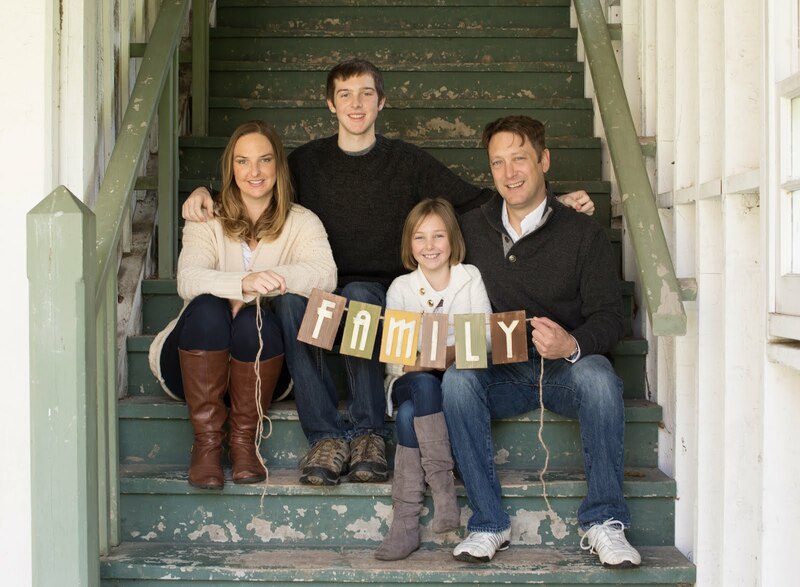 Follow my daughter's video blog! Awesome Inc. theme. Theme images by wingmar. Powered by Blogger.